My husband and I went out on the sunset tour last evening. It was an unforgettable cruise. 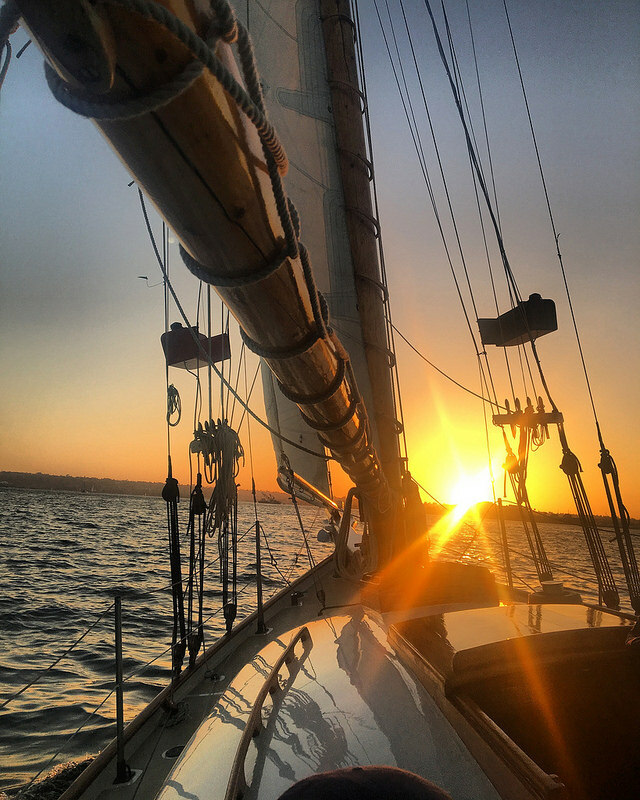 There were only two other passengers on the tour with us as we sailed around San Diego harbor on a beautifully refurbished sloop. Captain Phil was friendly and engaging and knew just when to let us enjoy the sunset, the water and sound of the sails in the wind. I would recommend this tour to anyone! Previous Post« Previous Sailing Crew needed for Maritime Museum!